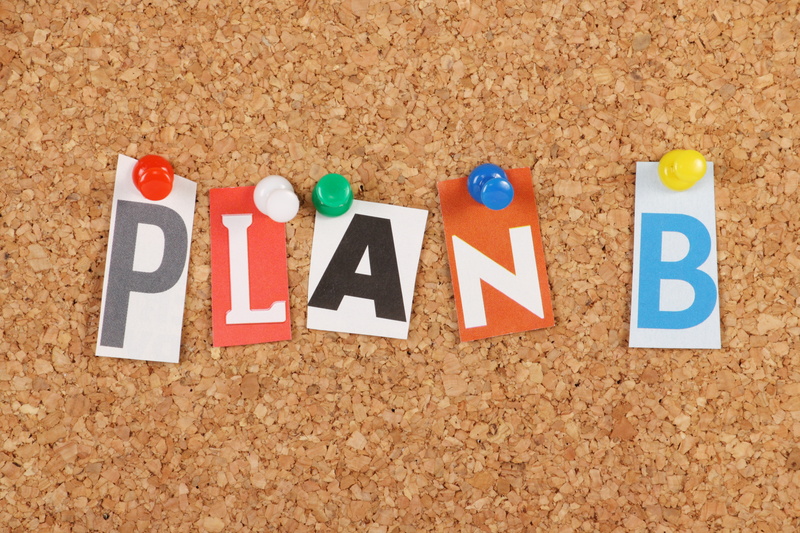 Check out our blog post on how we use the 7 Habits of Highly Effective Teens at http://www.autasticavenues.com/blog. 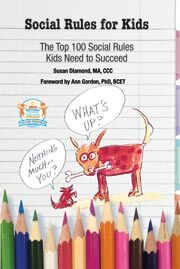 Learning and generalizing social skills is a dynamic process. As children grow, they are confronted with constantly changing social demands. Many Lunch Buddies continue to work on showing interest and responding to others. When it is difficult to learn from experience, we provide a framework and scaffolding in addition to practice, practice, practice. 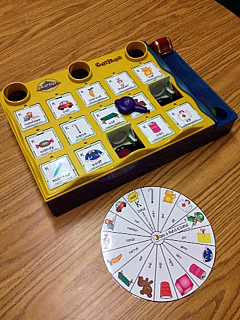 I love to pull together a variety of resources when working on difficult concepts. I am so glad that I bought this book. Just using the word “rule” to describe what the students need to do makes it very important! 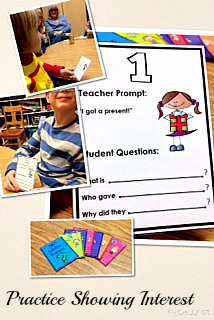 I followed up with “Wh” Question Prompts” activity by KID CODES: Helping Kids Figure It Out. This packet provides just the right visual support/scaffolding that some Lunch Buddies need. 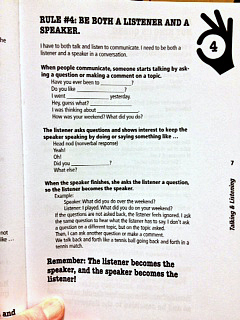 It is available at http://teacherspayteachers.com/Store/kid-codes-helping-kids-figure-it-out. 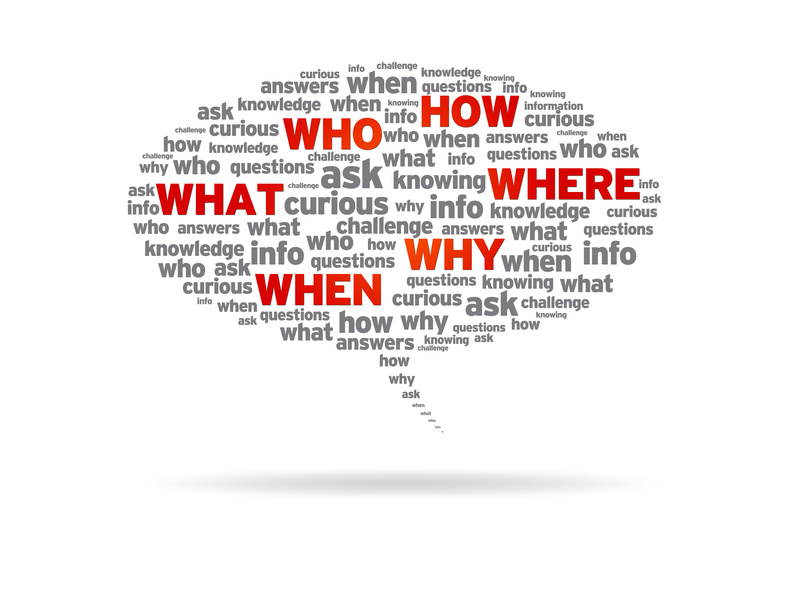 We use these visual supports to help the Lunch Buddies to know the difference between a Curious Question that seeks information and shows interest and a Wacky Question that one already knows the answer to and does not seek information. 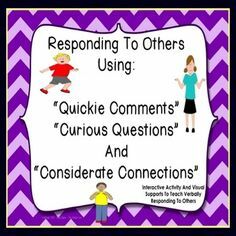 The above activities are very effective in helping the students to expand their ability to engage in thoughtful conversations. I am too old for cold! I get why older folks move to Florida or Arizona. 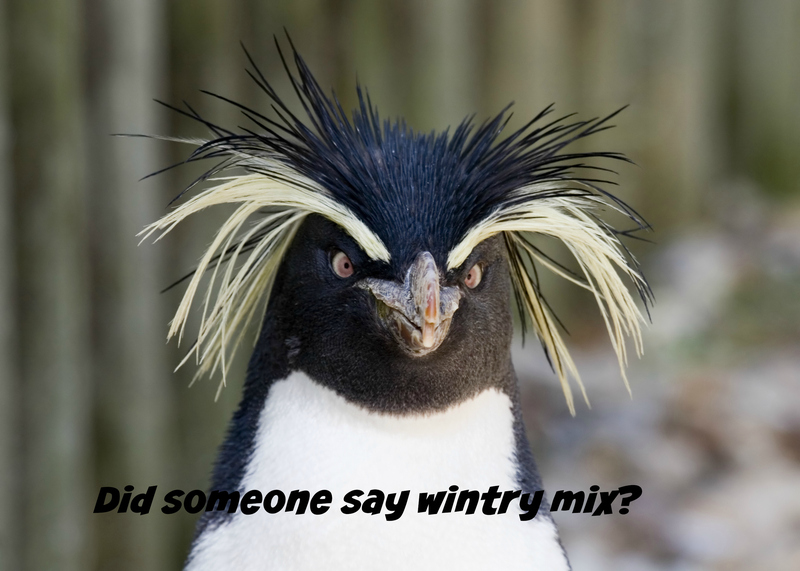 We are having some chilly weather lately. 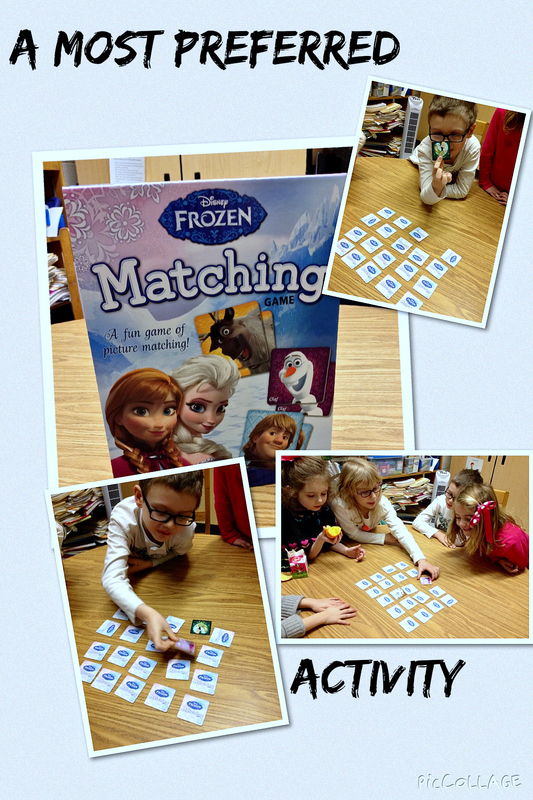 Some 1st and 2nd graders were very happy when I brought out the new (to Lunch Buddies) Frozen Matching Game. The girls got the session started by singing two favorite songs from the movie. Then we talked about the different characters and described their personalities and feelings depicted on the game cards. What fun! I think they would have played for hours! Joey is such a flexible thinker. 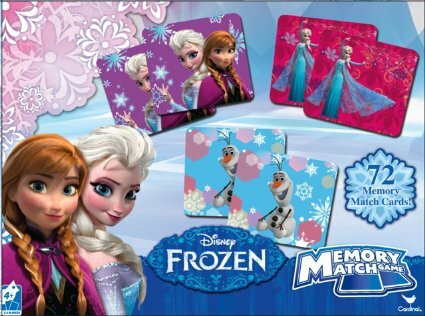 He was not really excited about Frozen Matching, but played with a great attitude anyway. Everyone had their brain in the group!! I can’t say, “The cold never bothered me anyway”! It is hard to overestimate the importance of flexible thinking. Things are constantly changing. Flexible thinking can be our greatest strength or asset. First week back to school in 2015 has not been an easy transition for any of us. Whether we like it or not we have to get back into a groove. So, in the words of Van Halen, “might as well JUMP!”. One of the 3rd grade Lunch Buddies approached me first thing Monday to talk about setting a new goal (I was thrilled). In several of our groups, we are learning to use Sarah Ward’s “note to self” strategy. 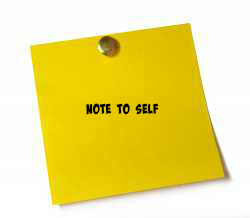 Some continue to need the visual support of an actual Post it note to remind them of a certain expected behavior. A few others have felt the positive outcomes of that behavior in such a way as to create a memory. Now just a quick verbal reminder of “note to self” works quite well. They are working toward a self-directed reminder. 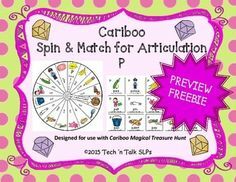 Cariboo is such a versatile game. I switch it up all the time. Just recently found this game custom made for Cariboo. Not only is it great for articulation but also for word retrieval. The K and first grade groups really like it. Check back, we’re just getting started.